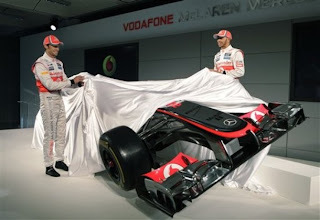 McLaren Mercedes launched their 2012 F1 car. MP4-27 is attractive stuff and good to see a team going forceful with their design. New car us similar to the 2011 machine, the team said the MP4-27 chassis has been substantially revised, with all major systems updated or redesigned for the new season.